In real-estate development , STP has been made mandatory. All present technologies MBBR, MBR , FAB require number of tanks for process. Thus it occupies maximum space. We have developed a new technology in which STP occupies less area and still gives the best performance in complying the Pollution board norms. Our system offers one of the best advantage that it do not release foul odour and support the environment to create pleasant atmosphere. Recycling the waste water is the need of the world. We offers STP in containerize system with the advantages of minimum foot print, fully automated, minimum foul odour during operation and minimum chemical requirements. The sizes can be offered with minimum size of 0.5 KLD and above. Water is one of the most important priority of today. Due to High growth rate of modern civilization, water has been rationed to all of us. All Metro and Nano cities have fixed water supply volume per person. It various from 80 to 100 Ltr. Per person per Day and it is still reducing. The water for drinking has been given most importance during the supply . For Flushing , Gardening and Car Washing , using potable water is made prohibited as these activities waste the potable water. 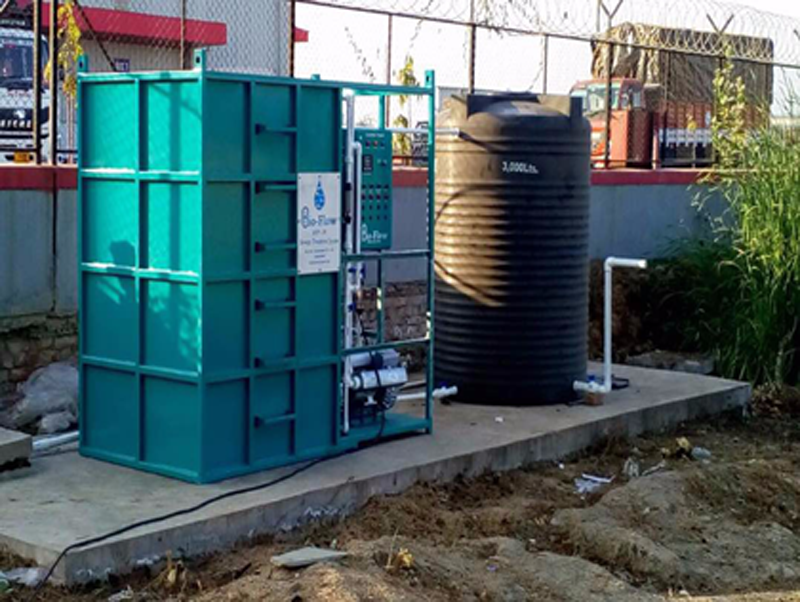 To overcome this issues A & S Infrastructure has come- up with an innovative Sewage Treatment Plant (STP), which has very good water handling capacity with minimum set-up. Following are some of the advantages of our System. Maximum Water re- generation capacity. Minimum Odor at STP plant. Less operative cost as compare to other systems. Less area is required as compare to other systems. Commercially very viable against any other systems. Water re-generated offer good BOD and COD. Can be fitted to smallest Society. A & S Infrastructure offers Skit mounting or Package Sewage Treatment Plant (STP). 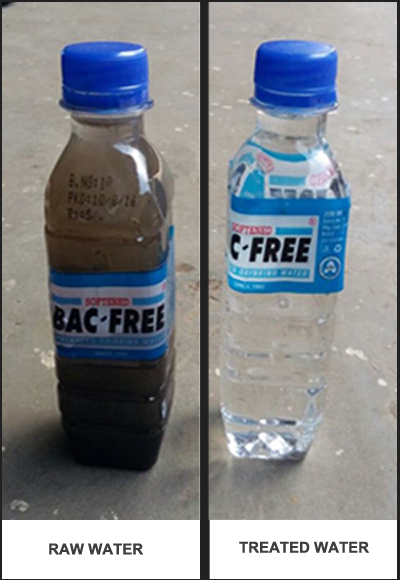 It releases very negligible foul odor to atmosphere and offer good quality of Treat water which is colorless and free from foul odor. This STP will be very useful to the societies and hotel industries. Our STP will help hotel industries at hill station that has very less space or space is constrained to put the STP. For the 2nd home townships where constant sewage water supply is not possible at that place, we can offer the STPs to individual bungalows which will reduce the direct price load to builder. The system offered by A & S Infrastructure will be very useful for labor's township or camp as STP is small and portable. A & S Infrastructure offered STP is small, compact, self cleaning system, with minimum chemicals consumptions and with minimum operation cost. 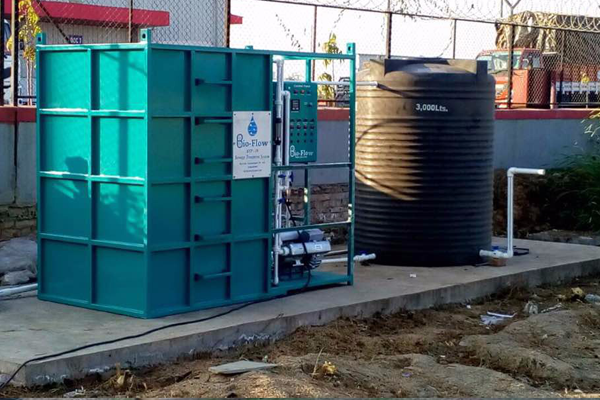 The Re-Generated Water complies with the MPCB and CPCB quality norms of Treated water.